In May of 2010 we suddenly lost Michael, a wonderful husband and father, at the age of 42. While my children and I still feel he is gone from us far too soon, the decision regarding organ and tissue donation was an easy one for us, and we knew it was something he wanted. Mike was loving, compassionate, and had a strong faith in God and a desire to touch the lives of everyone around him. In both his professional life as a registered nurse and in his personal life, he typically achieved whatever he set out to do. After his death, through organ and tissue donation, he was able to do one last time what he loved most – help others. Mike loved life. 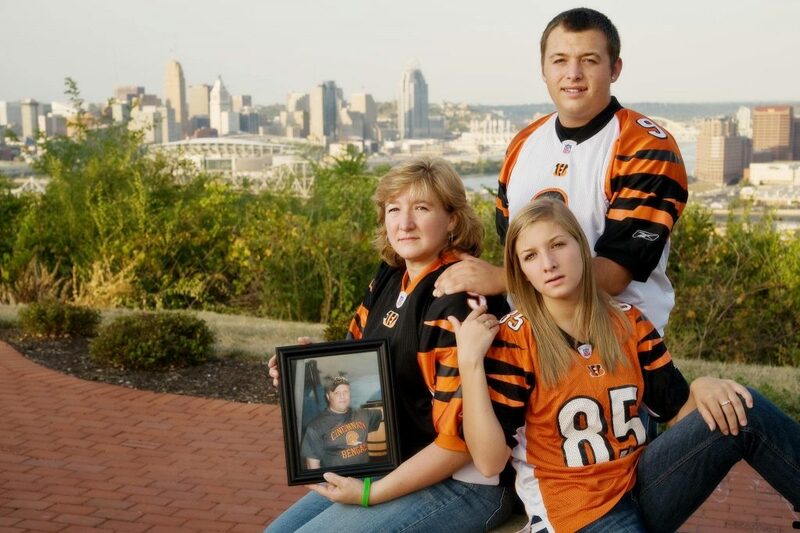 His passion for Cincinnati sports couldn’t be matched, especially his love for the Cincinnati Bengals. He was a risk-taker who always lived his life to the fullest, whether it was going skydiving or finding the most outrageous, terrifying roller coaster he could throw himself on. His donation has impacted our lives greatly. Through LifeCenter, we learned that he saved two lives, including that of a young family man who received a second chance at life because of Mike’s heart and who is currently serving his country in the military. To all of us, Mike is a hero. Even though we miss him terribly, we know he did more in his short time on earth than most of us could ever hope to achieve in a lifetime. There is no greater gift one can give than the gift of life. We hope Mike’s decision will inspire others to follow in his path.